Read Across Africa Sandestin Foundation for Kids partnered with Read Across Africa this year and makes monthly contributions to their cause. One focus of Read Across Africa is the community’s girls. Girls from rural areas are less likely to be given an opportunity to go to school than boys. They actively work with the community schools to ensure that they support females through high school and college. In quarter three, Read Across Africa was able to support new experiences for some of their community members. They were able to send their library manager, Japheth, to the Franklin Covey Leadership training in Nairobi – his first time on an airplane! He learned so much during the training and has been eager to share that knowledge with his peers. Another exciting experience was Oluoch Madiang’s, a Kenyan author, visit to the library. It was the kids first time to meet an author and they loved every minute of it. Joseph is one of the children Read Across Africa has been able to personally assist. He is a very smart young man that had miss out on several weeks in the 1st and 2nd term of 2018. He was dying to go back to high school after missing out for most of the year and Read Across Africa helped make that happen. 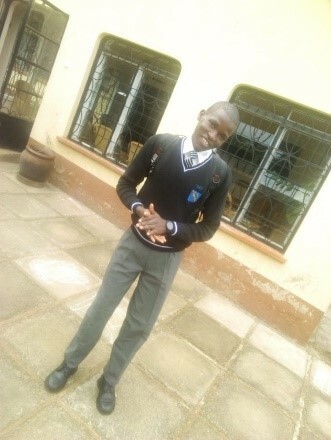 He is now attending Friends School – Kamusinga and was invited to be a part of the 2018 Young Leaders pilot program for high school boys in August. We’ve heard that he excelled during that program and hasn’t stopped smiling. Joseph dreams of becoming a surgeon and we have no doubt that he will eventually achieve his goals!